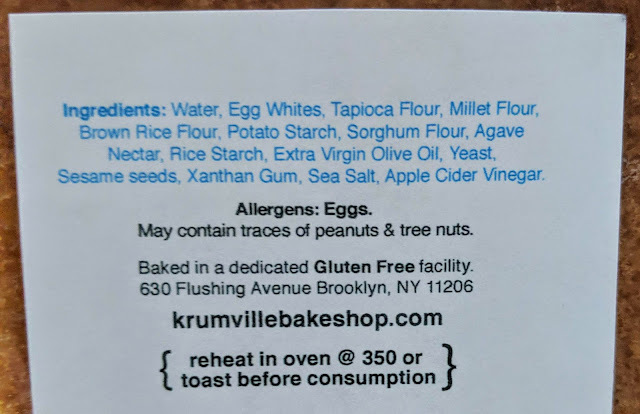 While the bakery operates out of a 100% gluten-free commercial kitchen, their products may contain other allergens, including egg, dairy, and nuts. You can review FAQs for these and other dietary restrictions on their website. 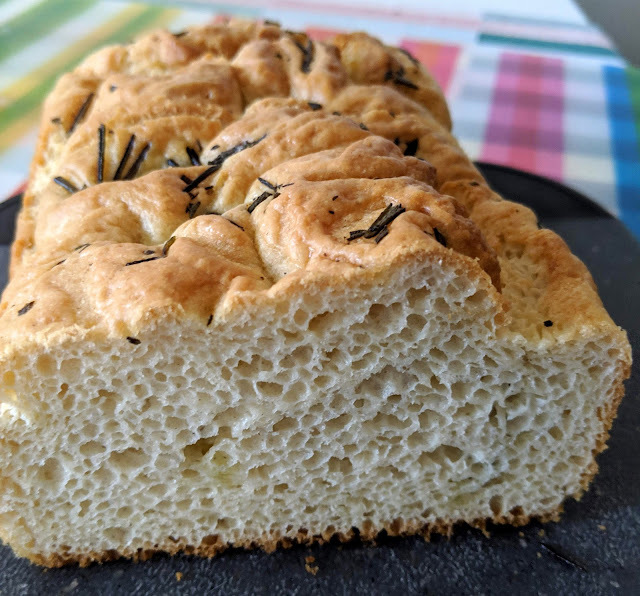 For gluten and dairy-free folks, we should stick with the focaccia breads (minus the pecorino one), croutons, panini bread, and muffins (banana apple, banana walnut, and apple ginger muffin). 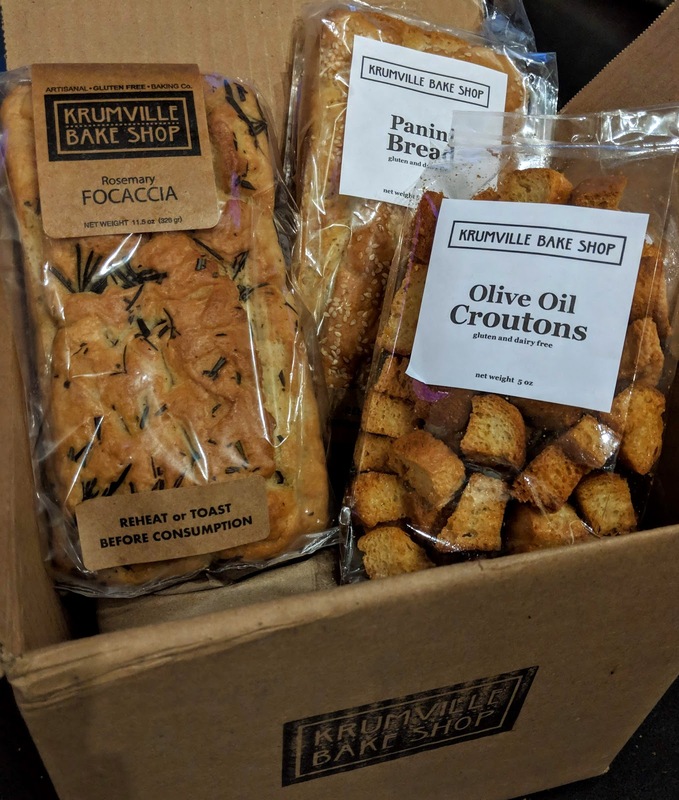 For review purposes, I was sent one each of the panini and rosemary focaccia breads and two packages of croutons. The breads ship out Monday through Thursday and transit times vary between one and two days (more info here). My bread arrived in DC the day after it was shipped. Live in New York City? Krumville Bake Shop also has free local delivery and an additional 15% discount if you pick up your order directly from their kitchen. 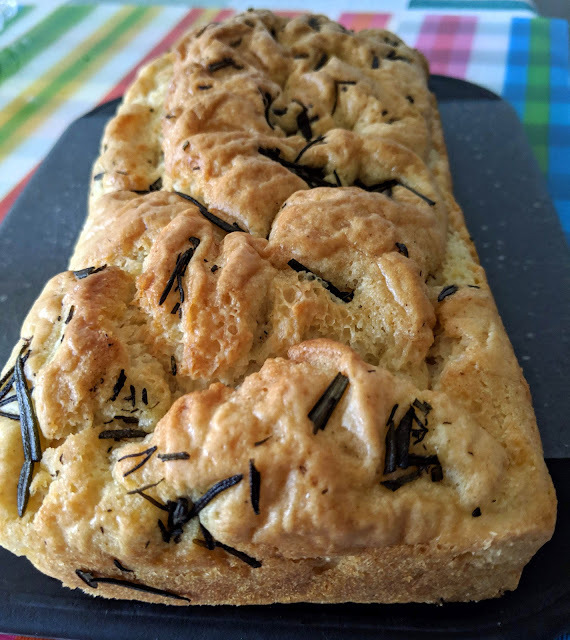 Because Antonella's baking inspiration comes from Italian and Dutch treats, the wonderfully enticing rosemary focaccia was the first of the samples I tried. The bread comes in a nice 8"x4" size and weighs in at 11 ounces. The bread is sprinkled with a generous amount of it's namesake herb, and opening the bag was downright mouthwatering with a lovely aroma. The focaccia has a nice thick crust and perfect crumb with not an air hole in sight (I'm glaring at you commercial bread companies). The bread is sized perfectly for slicing for sandwiches, or in wider panini-style sandwiches. It must be toasted or reheated before enjoying, so I sliced my loaf and chose the toaster as my preferred heating method. 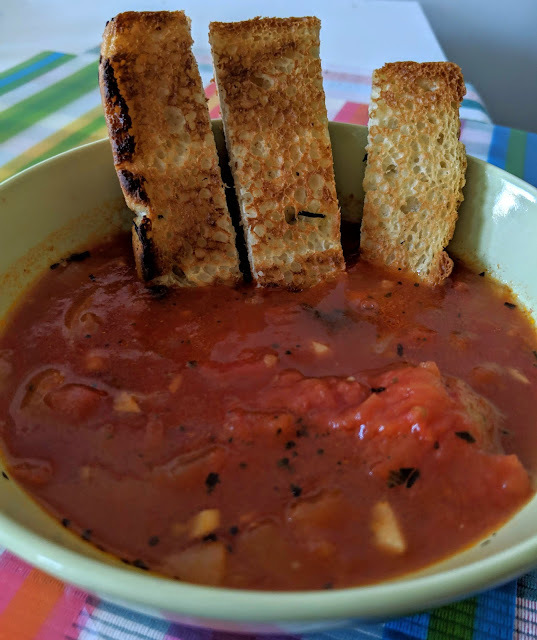 With all the blustery, chilly weather we've been enjoying this month, I decided to make a batch of homemade rustic tomato soup and dip the toasted focaccia slices for a bit of fun. The bread toasts beautifully, and reveals a crunchy exterior and dare I say it, a springy interior. If I didn't know better, I would totally second guess this as a gluten-containing bread. The bread has a wonderful flavor and the rosemary and olive oil in the bread shine through in its flavor. The toasted slices made for a fun and perfect pairing with my soup, and I also enjoyed eating the focaccia as a sandwich the following day. As the other bread sample I was sent, the panini bread features a dazzling array of sesame seeds. It's roughly the same size and weight as the focaccia, but is a little less tall. 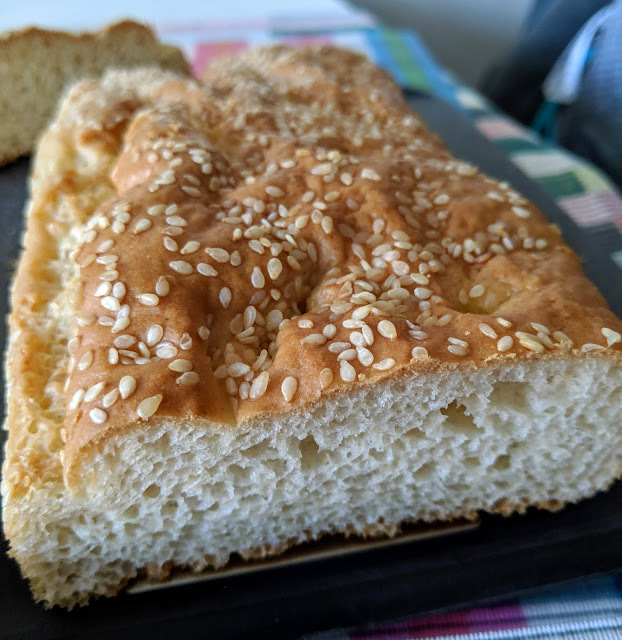 Similarly too, the bread needs to be reheated before consuming, so I opted again to entrust my toaster to do the job to bring the bread to life. 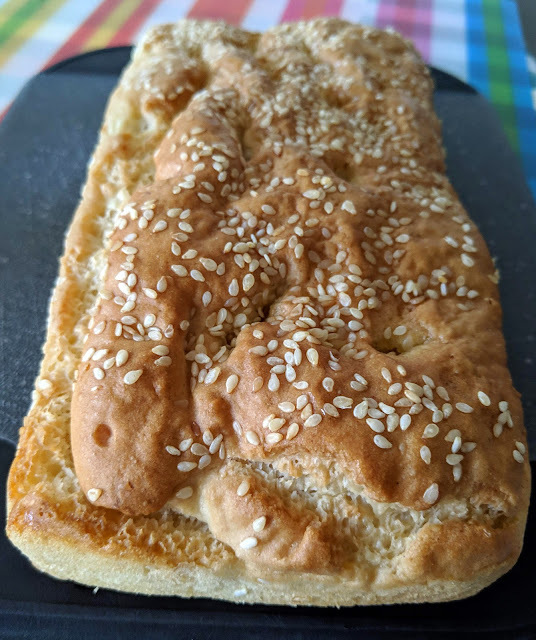 Between the two breads, this one worked better for building a sandwich because its thinness helped reduce the bulk of the sandwich (to make it easier to eat). The texture of the bread is so hard to capture in words other than to say it was simply perfect. Springy, yet sturdy, the bread held its own and did not dissolve into a crumbly mess from first bite of my sandwich to last. 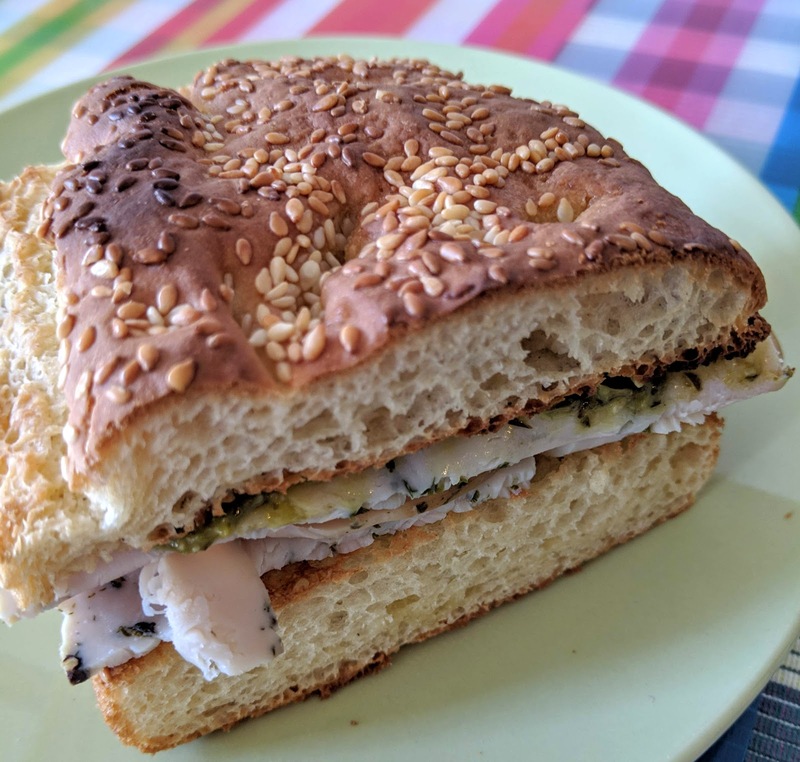 Paired with turkey and a generous spread of basil pesto, I was instantly transported to Italy in my lunch hour thanks to this remarkable bread. The third product I was shipped was the olive oil croutons, which are thick cut and oh-so-addictive. Seriously though, it's to stay away from snacking on them once a bag has been opened! 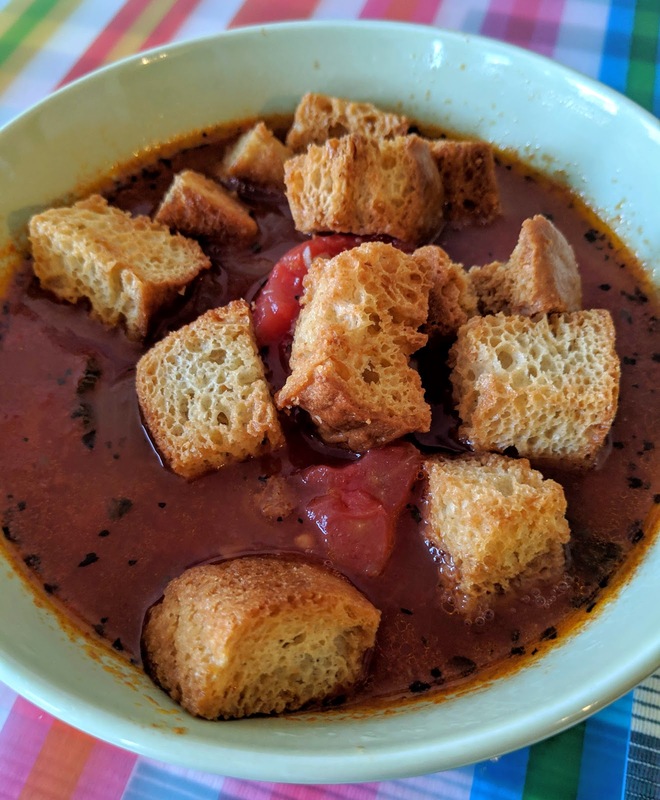 For sampling, I was able to take advantage of my rustic tomato soup by topping it off with the croutons. They have a perfect crunch, satisfying saltiness, and robust flavor from extra virgin olive oil that plays a starring role in the ingredients list. In crouton form, you really appreciate the hearty and thick crusts of Krumville Bake Shop's breads, because they are really shown off in every bite-sized piece. I couldn't possibly pick my favorite product from the the three varieties I was generously sent. They were all just too good to pit against each other. Each earned top marks (and then some) from me and you'd never know these were gluten-free from their taste and texture. It's refreshing when I get to write a review where products are exceptional on their own merit, not for being "good for gluten-free." 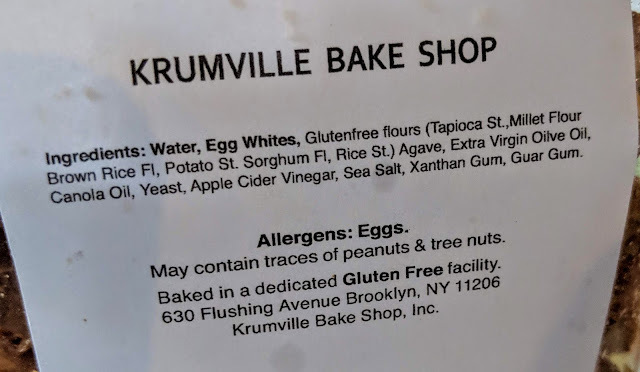 It's been a really long time since I've been as excited about a product as I am about Krumville Bake Shop's breads and croutons. These are seriously game changing, and have set the bar impossibly high for my expectations of what gluten-free bread can and should be. I was floored by the quality and performance of the items I sampled, and definitely plan on remaining a regular customer. Discoveries like this are few and far between, and am thrilled that I can share my review with you (seriously, you've got to give them a try!). For more information and to place an order, visit their website, where you'll also find pricing, ingredients, and other helpful information. 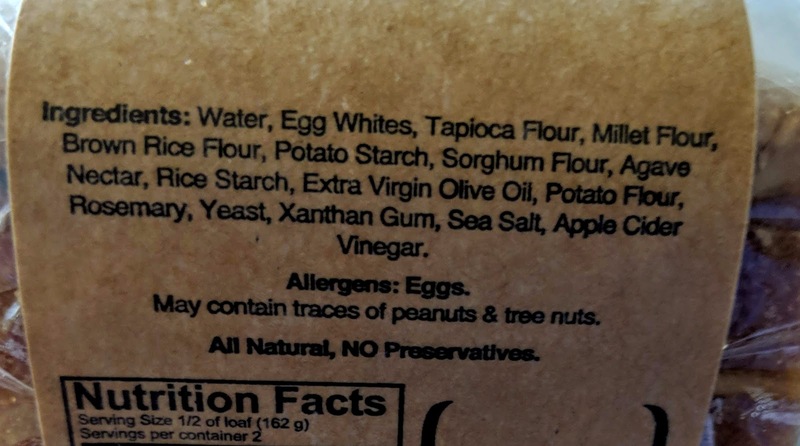 See earlier in my review for shipping info, and click here to see other retailers in the New York City area (including Amazon Fresh and Dean & Deluca). Disclaimer: This review is current to the original publication date. Updates will be noted. Ingredients and manufacturing processes can change without notice. Each product should be reviewed for individual nutritional needs. Feel free to to contact me with any questions or comments. Krumville Bake Shop sent me samples free of charge for review purposes, but the review is a reflection of my personal opinion.